Bob Buford’s book Half Time helped men definitively move from success to significance in the second half of their lives. Women over 40 long to redefine the rest of their lives, too. Many books focus on the negatives of aging and how to ?survive? it. But Dale Hanson Bourke and the friends she interviewed ? including General Claudia Kennedy, Kay Warren, Becky Pippert, journalist Peggy Wehmeyer and Jill Briscoe ? resoundingly affirm that midlife can be a time of spiritual rebirth. 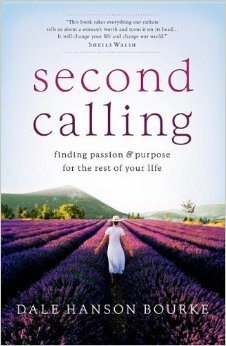 What’s waiting for women in their Second Calling is an even greater purpose and a more encompassing passion for God and others beyond one’s family. 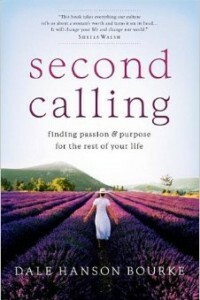 Using the biblical story of Naomi, as well as a wealth of personal experiences, Bourke offers essential principles that will help older women to blaze new trails in their best years and mentor younger women, encouraging them to build for the future with wisdom and strength.